On March 21, 2019, Prince Edward Island issued invites to 150 immigration candidates under PEI’s categories of Express Entry, Labor Impact program and Business Impact. Out of which 131 invites went to candidates of Express Entry and Labor Impact program. 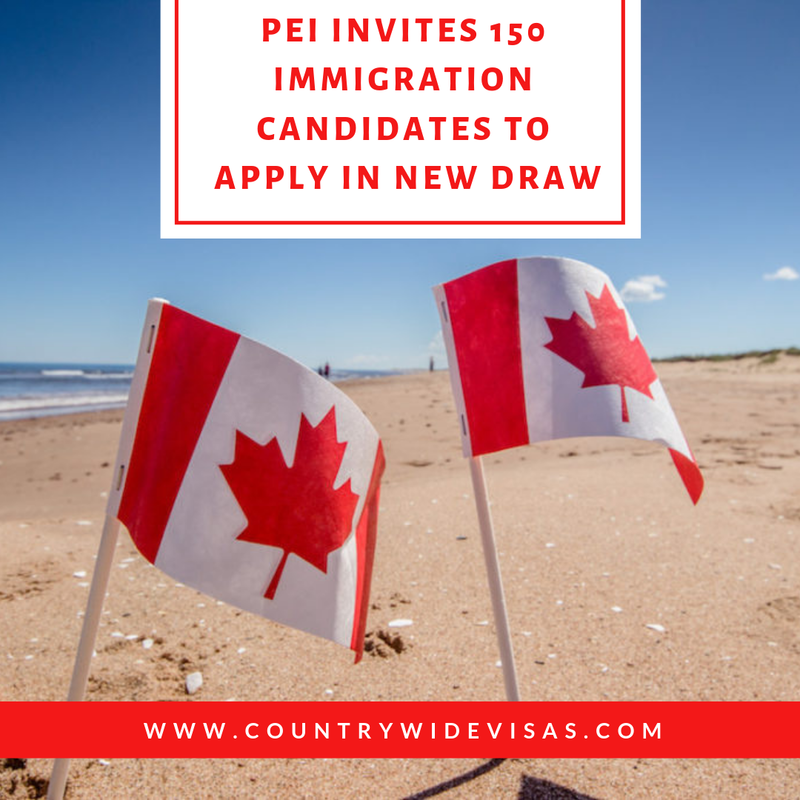 They all can now further apply to PEI’s provincial nominee program for the nomination for Canadian permanent residence. Another group of 19 invites were of entrepreneur candidates invited through the Business Impact: Work Permit Stream category. With this draw, the total number of invitations through this year has reached to 440. Prince Edward Island is one of the Canadian provinces which run its immigration program to nominate a set of immigrants for Canadian permanent residence. Its Express Entry category is directly linked to federal Express entry system. So, all those candidates who are interested in a provincial nomination from PEI under this category, they need to register Expression of Interest (EOI) with PEI PNP along a profile in Federal Express Entry. Based on selection factors like education, work experience, language proficiency and more PEI evaluates candidatures and only higher-scoring applicants will receive the invite for provincial nomination through monthly PEI’s draws. Moreover, nominated candidates get an additional of 600 points towards their Express entry score. PEI’s labour category brings applications from candidates who have a valid job offer in full-time, long-term occupation from the employer in the province. PEI’s Business Impact: Work Permit Stream brings applications from foreign entrepreneurs, having any business ownership or eligible management experience so that they would invest or run a business in PEI. It also operates on Expression of Interest. In this draw, the lowest score was 110.